Is Islam a Religion of Terror? Are Muslims wicked, evil people or is this simply propaganda to steer society away from submission to the will of their Lord (Islam). One of the many short comings which have arisen in the West is judging Islam by the conduct of a minority of its people. By doing this, segments of Western society have deliberately played off the desperate actions of many Muslims, and have given it the name of Islam. Such behaviour is clearly not objective and seeks to distort the reality of Islam. A bomb goes off in a marketplace in Jerusalem. A suicide bomber launches himself into a bus full of women and children in Tel Aviv. Foreign tourists get massacred at a holiday resort in Luxor, Egypt. Villages upon villages get annihilated in Algeria. The list of events worldwide which have come to symbolise the 'Islamic terror' are endless. From the times in the 70's and 80's when Pan Am and TWA aeroplanes would be highjacked, to the mid 80's in war torn Lebanon where Americans and Europeans would be held as hostages for years; all such incidents have come to be identified with the religion of Islam. Such incidents from past and present have undoubtedly affected Muslims worldwide and more so in the West. Any Muslim, who wants to practice his/her religion and expresses the pious desire to live under the banner of Islam, is labelled a fundamentalist or extremist. Any Muslim man who walks down a busy street in London or Paris (and Paris moreso) with a beard and a scarf on his head, is looked upon as being a potential terrorist who might have an AK47 stashed somewhere on his person. Muslim women who are veiled can't go anywhere in the Western world without being taunted as being oppressed or being mad (for covering up). However, are such beliefs and opinions about Islam really justified? One of the many short comings which has arisen in the West, is judging Islam by the conduct of a minority of its people. By doing this, segments of Western society have deliberately played off the desperate actions of many Muslims, and have given it the name of Islam. Such behaviour is clearly not objective and seeks to distort the reality of Islam. For if such a thing was done Judge a religion by the conduct of its people) then we too could say that all Christianity is about is child molesting and homosexuality  whilst Hinduism was all about looting and breaking up mosques . Generalising in such a manner is not seen as being objective, yet we find that the Western world is foremost in propagating this outlook on Islam. So what is the reality of Islam? How does one dispel the myths which have been created and spread so viciously? The only way to examine Islam is to simply examine its belief system. Look at its sources, the Qur'an and Sunna, and see what they have to say. This is the way to find the truth about what Islam says about terror, terrorism and terrorists. One who is sincerely searching for the truth, will do it no other way. 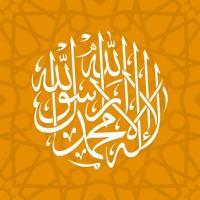 The very name Islam comes from the Arabic root word 'salama' which means peace. Islam is a religion which is based upon achieving peace through the submission to the will of Allaah. Thus, by this very simple linguistic definition, one can ascertain as to what the nature of this religion is. If such a religion is based on the notion of peace, then how is it that so many acts done by its adherents are contrary to peace? The answer is simple. Such actions, if not sanctioned by the religion, have no place with it. They are not Islamic and should not be thought of as Islamic. "So obey not the disbelievers, but make a great jihad (effort) against them (by preaching) with it (the Qur'an)"
"And if Allah did not check one set of people by means of another, the Earth would be full of mischief. But Allah is full of bounty to the worlds"
"For had it not been that Allah checks one set of people by means of another, monasteries, churches, synagogues and mosques, wherein the name of Allah is mentioned much, would surely have been pulled down. Indeed Allaah will help those who help His (cause). Truly Allaah is All strong, All mighty"
"… when it is said to them; 'Make not mischief on the Earth', they say; 'We are only peace makers'. Indeed they are the ones who make mischief, but they perceive it not"
"And fight in the way of Allah those who fight you. But do not transgress the limits. Truly Allah loves not the transgressors"
"Allah does not forbid you to deal justly and kindly with those who fought not against you on account of religion, nor drove you out of your homes. Indeed, Allah loves those who deal with equity"
(Al-Mumtahinah, The Woman that Examines 60:8). After reading such passages from the Qur'an and knowing about what Islam commands and prohibits in jihad, the rules of warfare are given a new meaning; a meaning of justice. How sad it is then, that whilst Islam is condemned for striking terror into the hearts of the people, the likes of the Serbs, the Indian army in Kashmir and the Israeli soldiers in Palestine are left untarnished for the atrocities they have committed in the name of warfare. "...If anyone killed a person not in retaliation for murder or to spread mischief in the land, it would be as if he killed the whole of mankind. And (likewise) if anyone saved a life, it would be as if he saved the whole of mankind"
(Al-Maa'ida, The Table Spread Out 5:32). Thus, all other types of extremities such as hostage taking, hijacking and planting bombs in public places, are clearly forbidden in Islam. "They intend to put out the light of Allah with their mouths, but Allah will complete His light even though the disbelievers hate (it)"
Whilst trying to destroy Islam through this instrument of the media, the Jews clearly try to portray an image of themselves as being the oppressed people. Every year, we are reminded as to how many Jews perished under the Nazis in World War II. We are made to feel sorry for these same people who have gone on to commit so many crimes upon the Palestinian people. Some may say that this is a racist and biased viewpoint. But we say; If this media was not run and orchestrated by the Jews and was truly neutral, then why are Menachem Begin and Yitzhak Shamir, two former Israeli prime ministers, not held aloft as being terrorists? Anyone who knows about the history of the Palestinian occupation will tell you that these two men were members of the Stem Gang and Irgun, two notorious Jewish terror groups who killed many innocent people . If this media was truly impartial, then why does it not tell about the extent of the Israeli bombardment and illegal occupation of Southern Lebanon and its people? And if this media really had nothing against the religion of Allaah, then why does it not inform the people that every day hundreds are entering the religion of Islam? Such things will never be highlighted in the Western media, simply because to do so would be against their very interests. "It is He who has sent His Messenger with the guidance and the religion of truth, so that He may make it victorious over all other religions, even though the disbelievers detest it"
It is a must that humanity comes towards the religion of Islam. Without it, we will continue to slip down the road of inequity and darkness. With it we can establish a society of justice and peace. Religion of terror? ... no. The way forward? ... yes. "There is no compulsion in religion. The right path has indeed become distinct from the wrong. So whoever rejects false worship and believes in Allaah, then he has grasped the most trustworthy handhold that will never break. And Allaah is All Hearing, All Knowing"
4 Years of sexual liaison with a White House aide, Monica Lewinski, has been proved against Mr Clinton. Since this time, a number of other women have also claimed that they have had affairs with the president. And this is the same man who propagates family values and to whom millions look up to! 14 Despite the fact that the UN has even made a resolution against Israel for this illegal occupation, no 'democratic peace loving nation' (like the USA!!) has bothered to implement it.